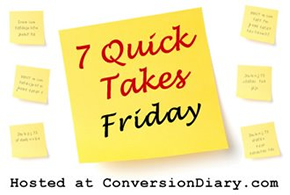 Join Jennifer at Conversion Diary for another fantabulous 7QT Friday! Little Blog, Big City: My first (well, first functional) blog, Mrs. Mackerelsnapper, OP, is going to be featured on CatholicMom.com every second Friday! If you’ve never gotten to know me as Mrs. Mackerelsnapper, OP, the short story is that that’s where I post the occasional random Ordinary Time meatless Friday recipe. Additionally, for the last two years, our family has done a Lenten Challenge. In 2012, we made the goal of a completely meatless Lent. For 2013, our goal was a “fast, cheap, and easy” meatless Lent of recipes that did not take more than 20 minutes to prepare on a grocery budget not more than $50/week, in solidarity with the working poor. Check it out on the blog itself, or just keep an eye out on Fridays on CatholicMom.com. Thanks to my friend Franciscan Mom for recommending Mrs. M, OP to the nice ladies at CatholicMom! Humble Pie a la mode: Lately, things have been picking up for me. I have another book coming out. My little blog that’s been in a dark, neglected corner of the blogosphere for the past two years just got picked up by a majorly popular site. And so on. 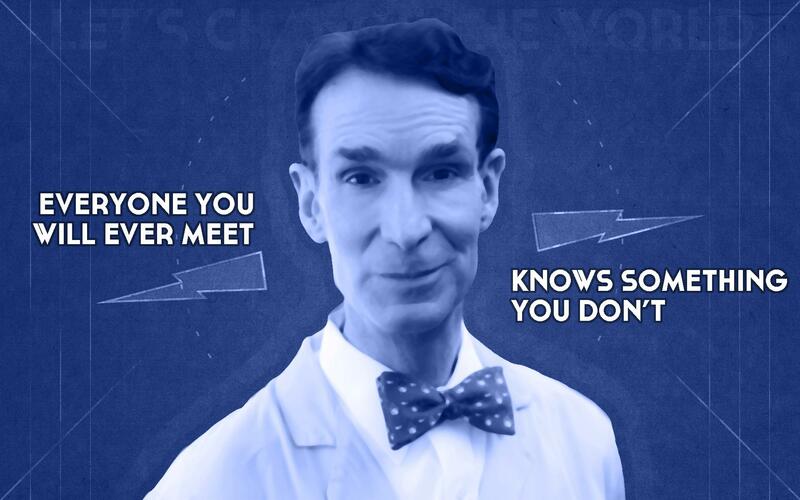 You know. Things are picking up. However, in the meantime, I’ve had several instances where people who don’t know me from Adam (or Eve, in my case), talk to me like I am an absolute moron who couldn’t possibly have any experience with anything and that they have soooooo much to teach ignorant little old me. It’s frustrating to be treated like a moron. In all three of these cases, these people spoke to me this way without listening to (or reading) a word I had said (or typed). I’ve let two of those just slide, seeking my own humility in silence. One of those folks, however, is one to whom I owe a reply. I know how to treat the others in my life to avoid treating them the way that this person has treated me. I, however, haven’t the slightest idea on how to respond in loving honesty. I’m inclined to not reply at all, but that seems just outright rude. Any advice you feel like sharing would be helpful. As long as, that is, you don’t assume I’m a moron. The Catholic Writers Guild Seal of Approval season is upon us! Are you a member in good standing with the Catholic Writers Guild? Would you like free books? Then sign up to be an evaluator for the CWG Seal of Approval! You’ll be getting books for the cost of reading them and evaluating them for faithful Catholic content. It’s great! I’m not sure if they’re still looking for evaluators for this quarter, but January is coming, and you can at least be a part of it then! This has been our week of actual homeschooling lessons. All summer long, we did bits and pieces here and there, like tons of field trips and a math facts practice every weekday. However, this week we started in with the real stuff: a full math lesson, our unit on oceanography, composition, sentence diagramming, copywork, even Latin (which I think is cool, but I am a language nerd). This is also the first year that I’m doing lessons for our preschooler in addition to giving her meaningful independent work (MIW). Some MIW tasks that have kept her busily learning while I taught First Shift their Latin and Math: finding all MegaBloks in the house, giving the MegaBloks a bath in the bathtub in prep for their being yard-saled (this bought us a whole hour, man), sorting books into hard and soft cover. Do any other homeschoolers have any suggestions of what we can try? I’ve been pleasantly surprised to see her attention span grow over this week alone. Another homeschooling idea you might want to try: this week’s Faith Fun Focus has been God the Father as loving lawgiver. 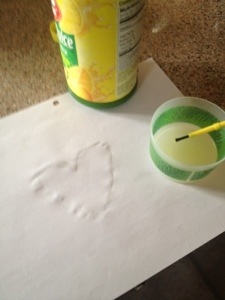 So to illustrate the Ten Commandments as being given to God’s chosen people then fulfilled in the person of God the Son, we did secret writing with lemon juice. First paint on a piece of paper with lemon juice. Let it dry. 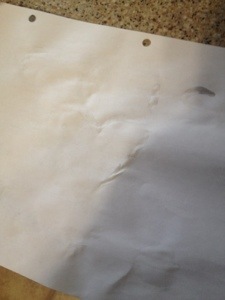 The acid in the lemon juice will break down the fibers of the paper, making those fibers “toast” quite easily. Then bring it close to a light bulb and watch the secret message appear. This shows us how Jesus, the Light of the World, put flesh on the whole message of God’s law: that we are to give ourselves totally for God and His children. Also, if you don’t let the lemon juice soak into the paper before you try to expose it directly to the light, the message just looks like a bunch of lumps. God waited to come into the world as Jesus, and He waited for a reason. Also, if you don’t expose the message to the Light for long enough, it doesn’t make sense. And those are your deep thoughts for the week. The Home Stretch: My next novel comes out in 7 weeks. I am praying that the trailer for Don’t You Forget About Me will be coming very, very soon. It’s been a long wait. There’s another big writing project for which I need your prayers. Thanks. More on this as it becomes available. St. Catherine of Alexandria, pray for us. I saw the cover over at Ellen’s blog! Looks really intriguing. Exciting times! Ughhh! Today seems to be my day for hitting “post” and THEN remembering I wanted to say something else. I do not know how to advise you on responding to being treated like a moron. I agonize for hours, and sometimes days, over things like that. Thanks, Kathleen! I, too, tend to overthink that sort of thing, because I don’t want to be prideful, but I also don’t want to assume that others are incapable of seeing their own error!